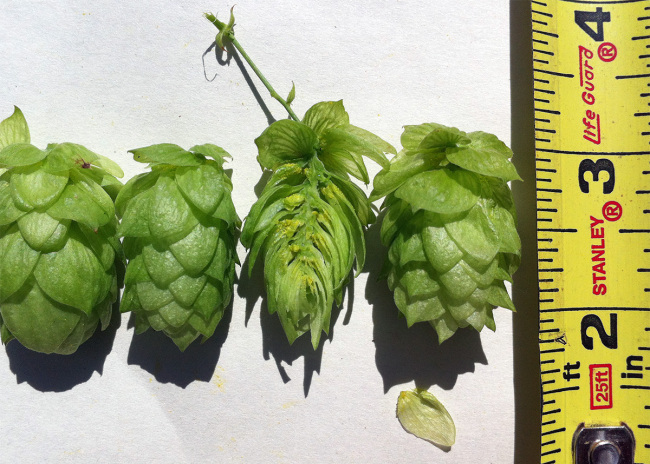 The seedling grew rapidly in their first year. 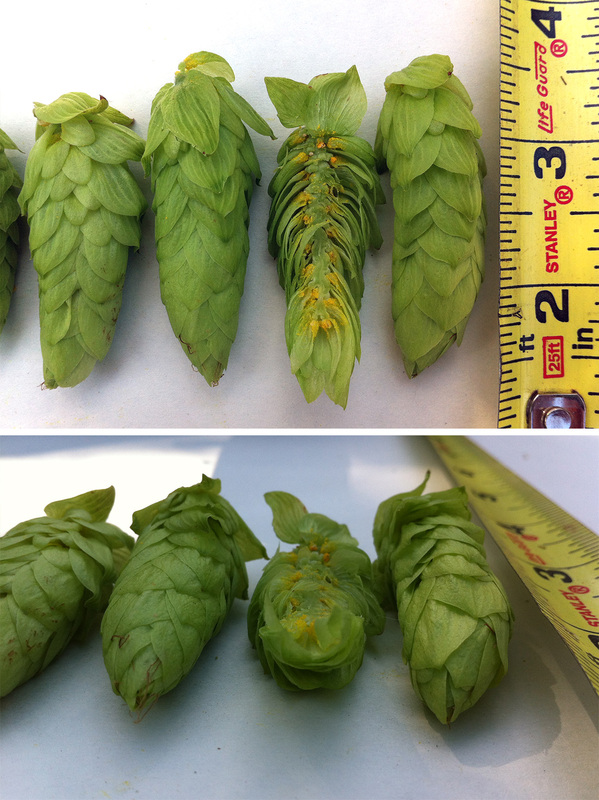 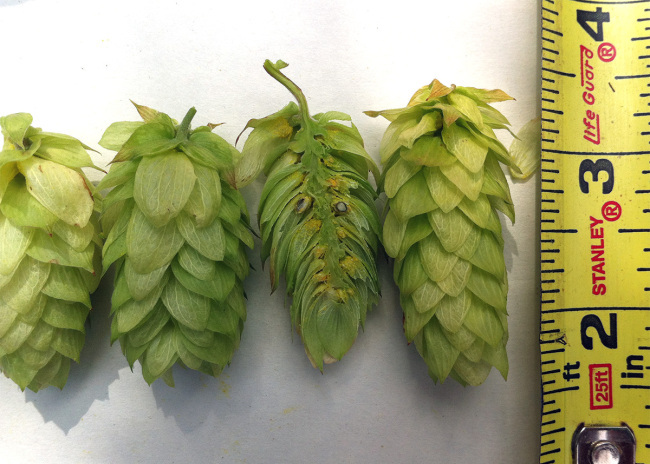 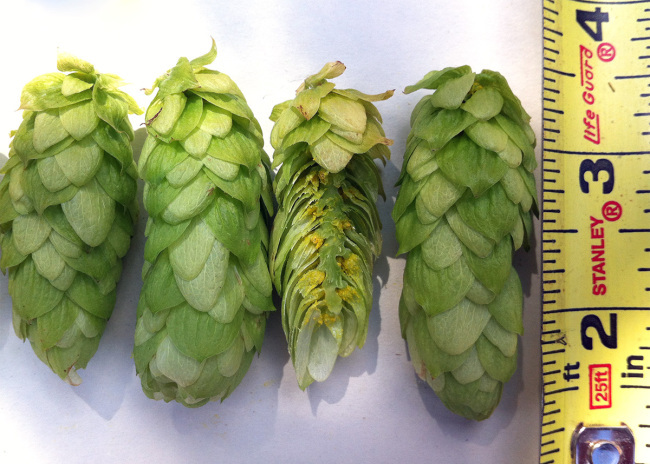 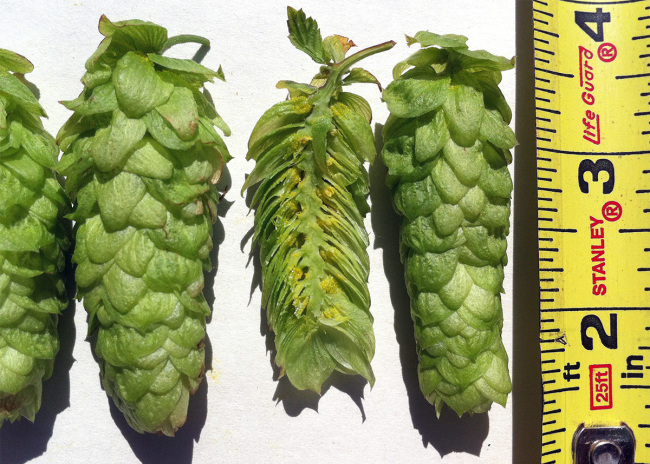 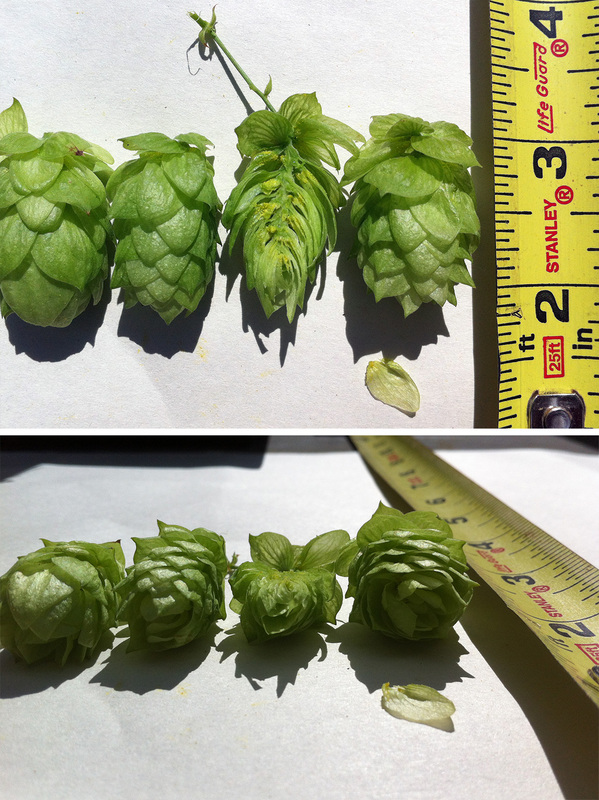 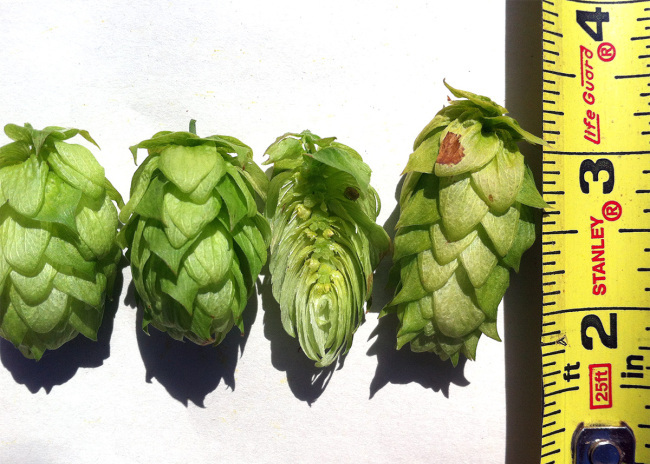 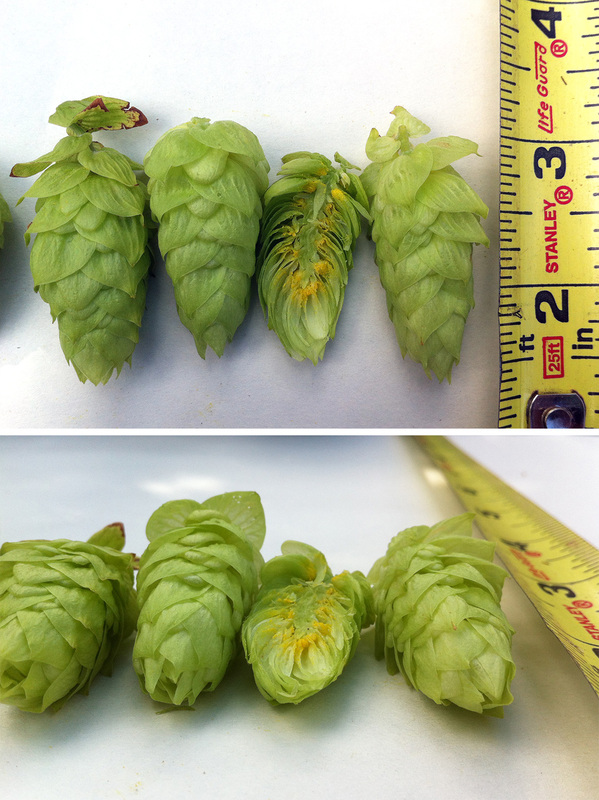 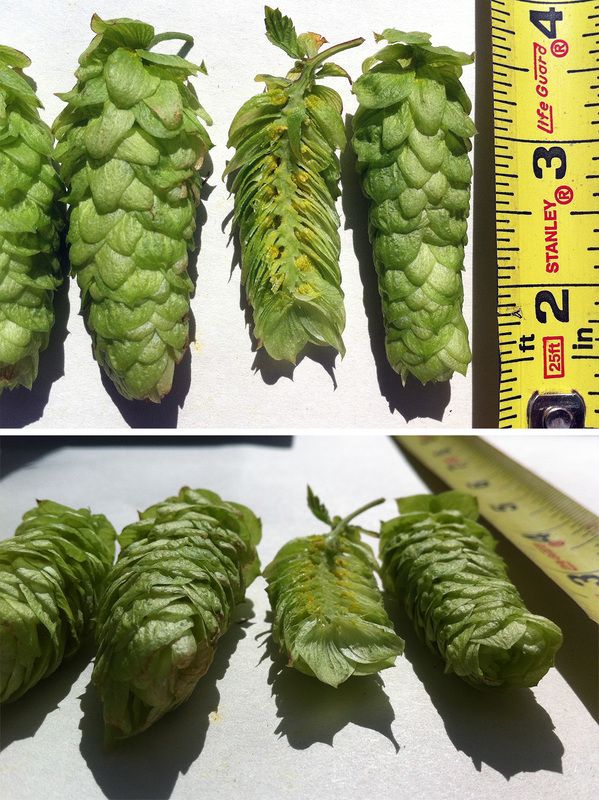 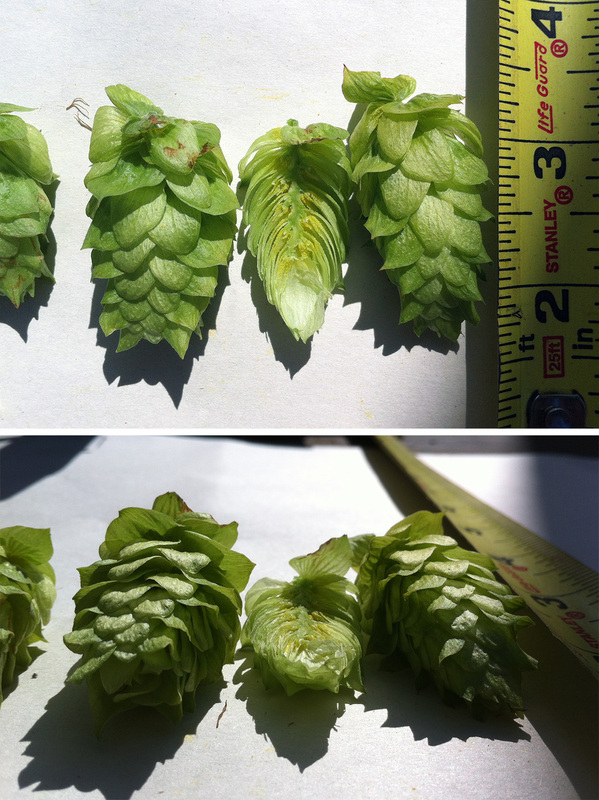 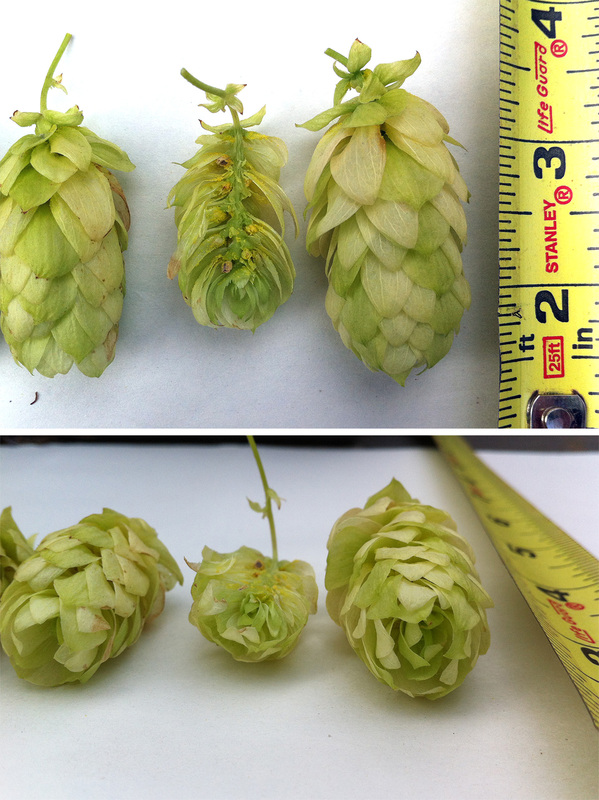 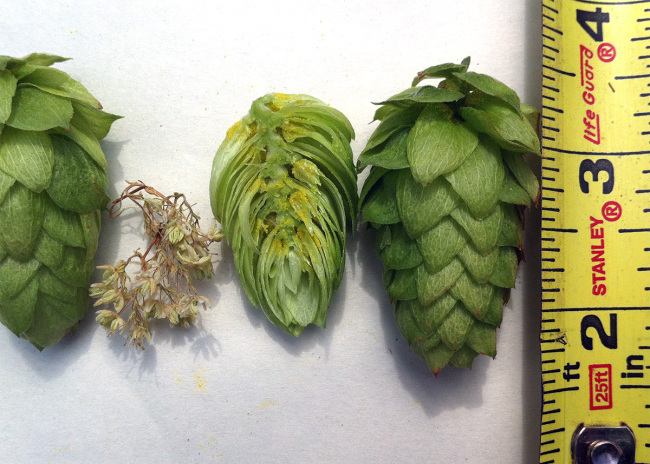 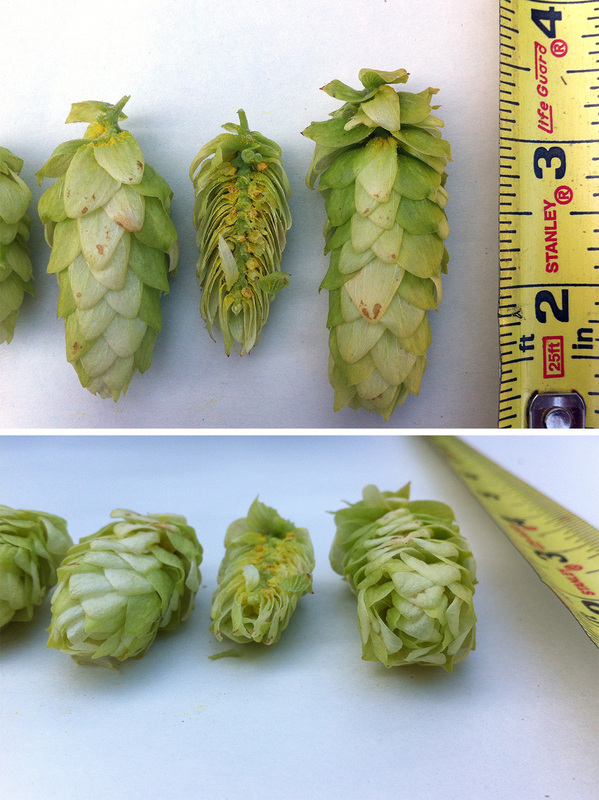 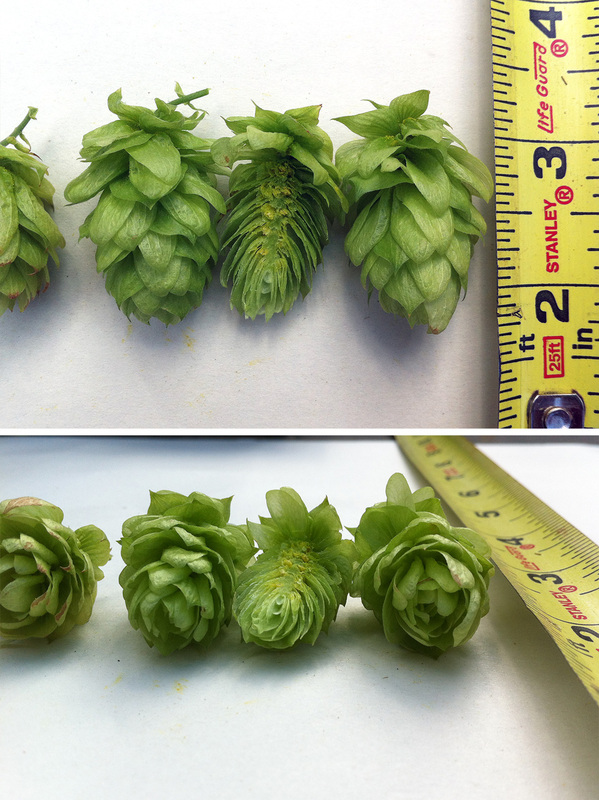 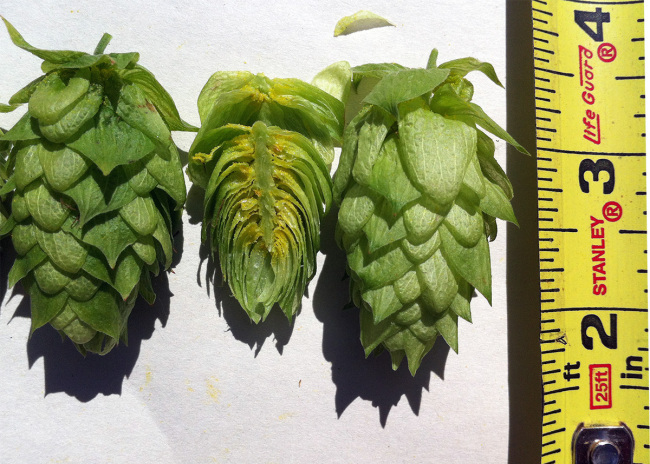 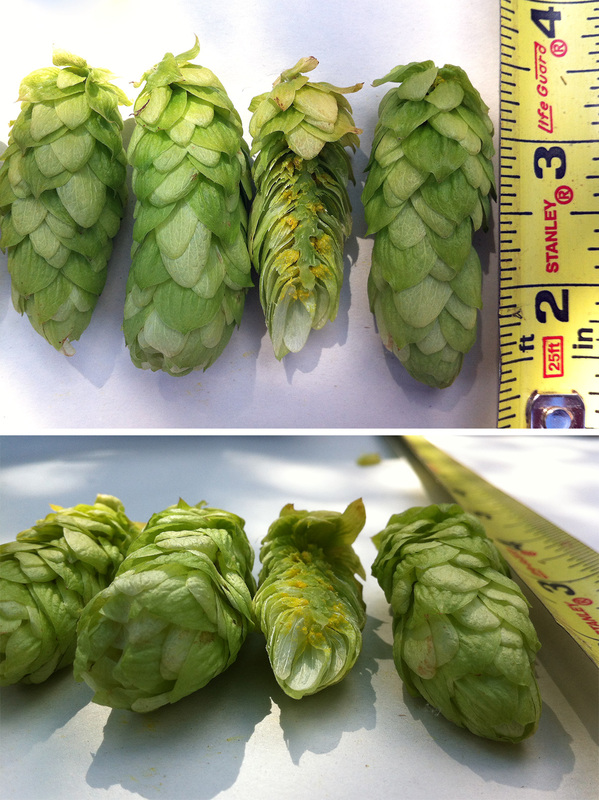 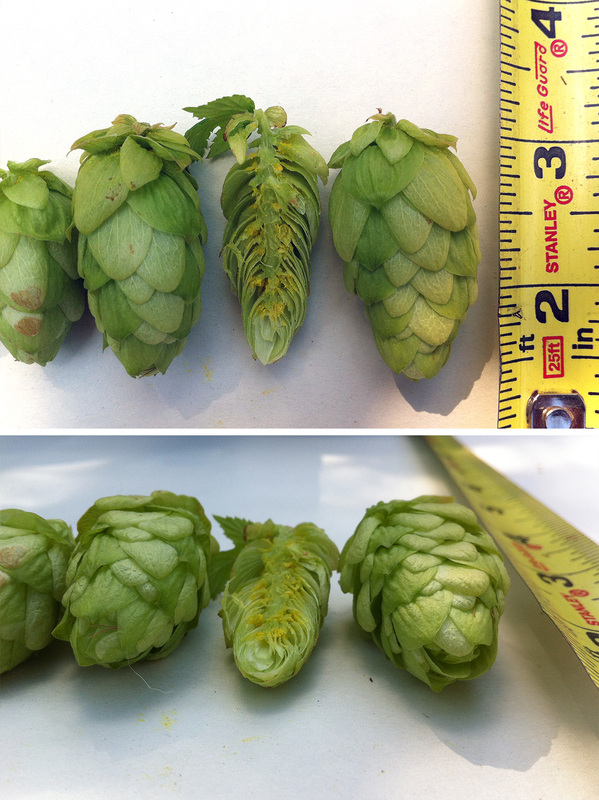 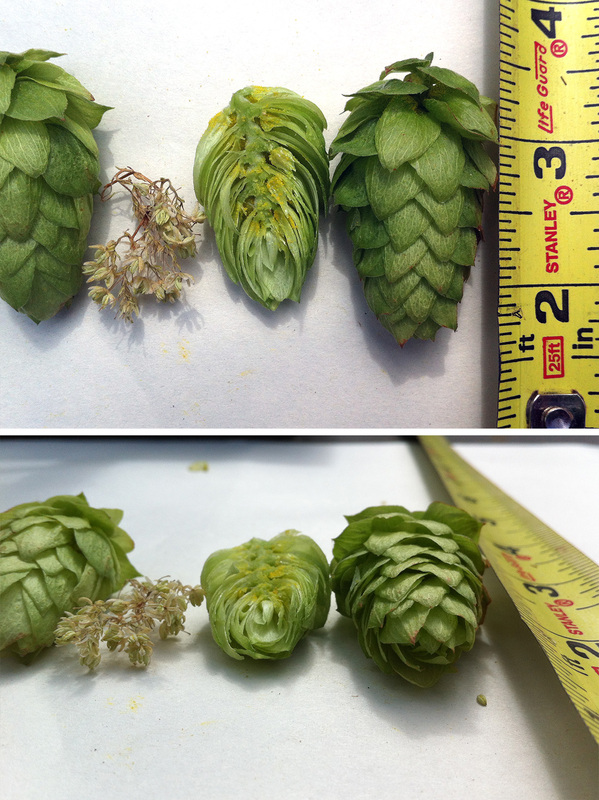 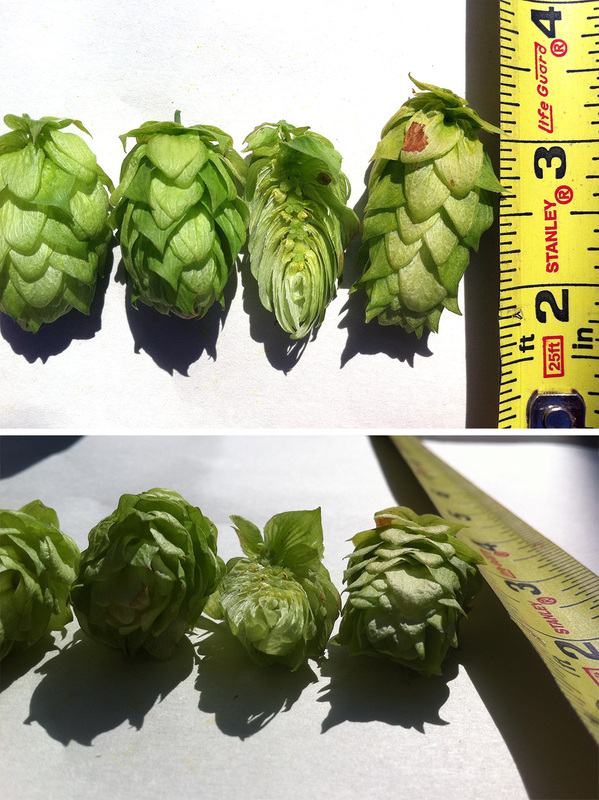 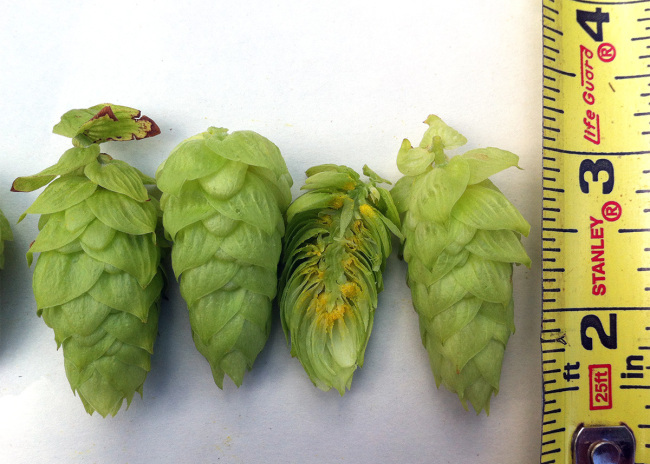 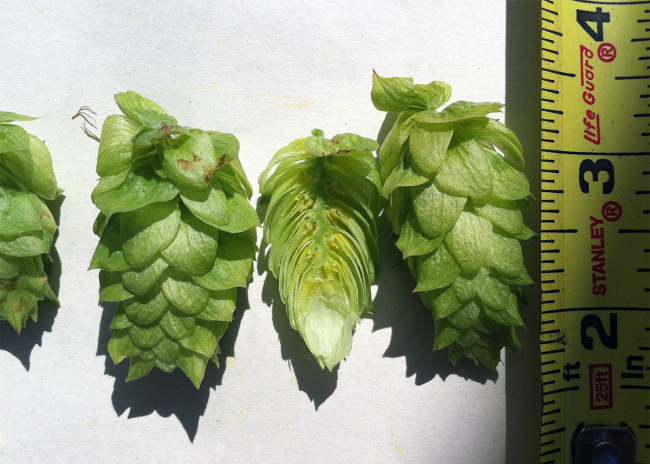 18 plants produced significant amount of hops by the end of August. 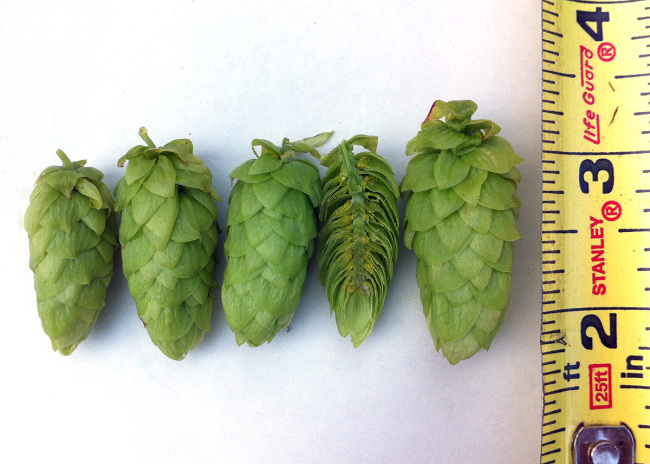 For comparison purposes I decided to pick, sort, and catalog all the cones at once. 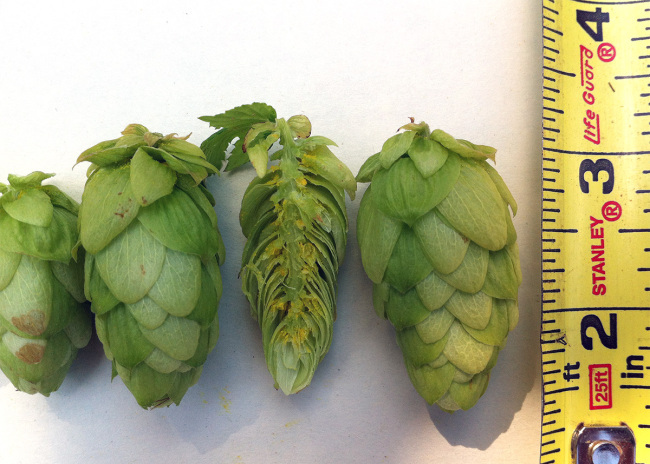 No doubt this means that some were picked too early, and others too late. 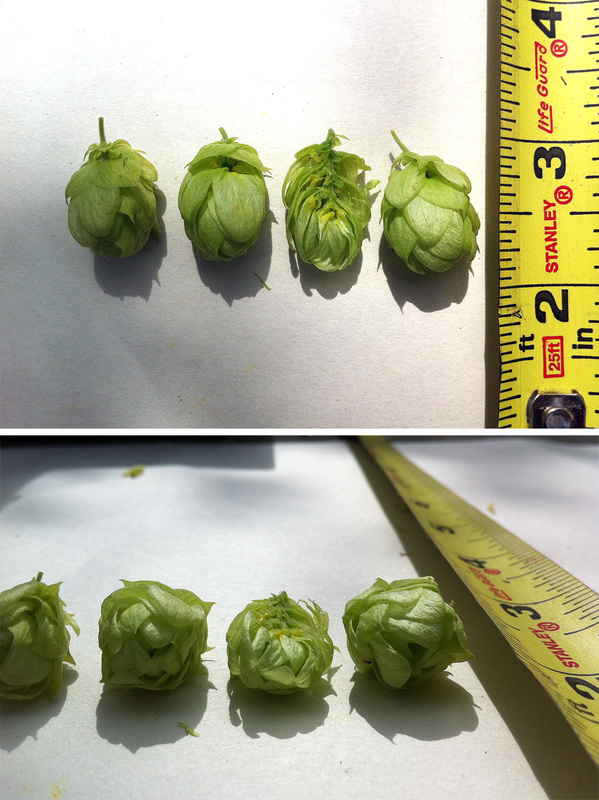 The wet/dry weight percentile should help to calculate an optimal picking time for each variety. 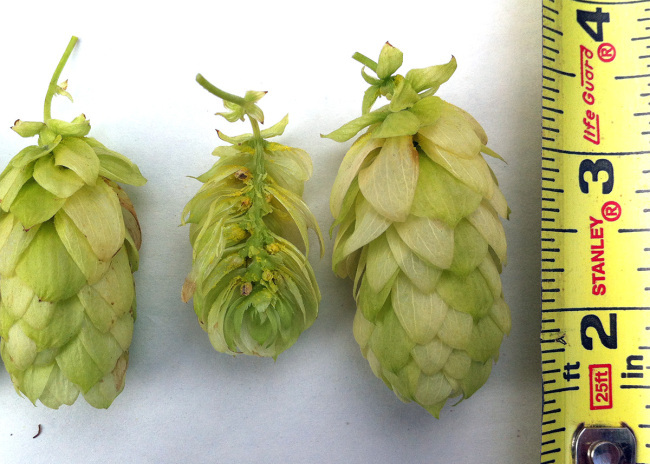 Keep in mind that these are young plants, many with seeded cones. 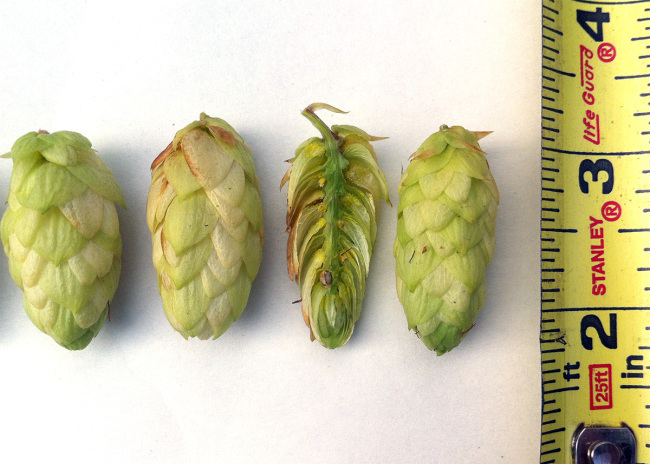 This means that the cone size, shape, yield and bitterness is only an indication of what a mature plant might produce. 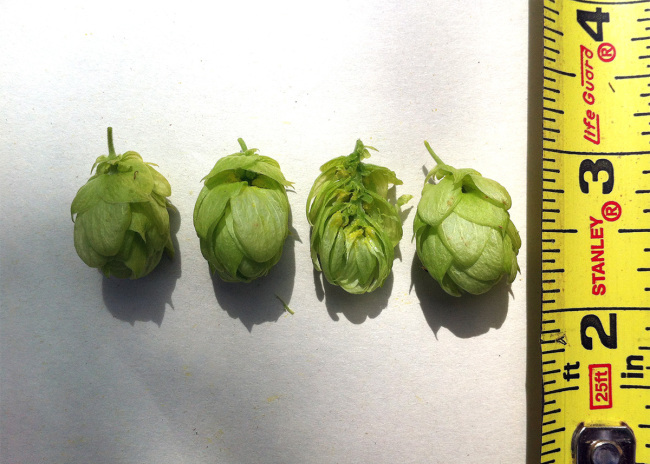 This will help us decide which plants to cull and which to keep. 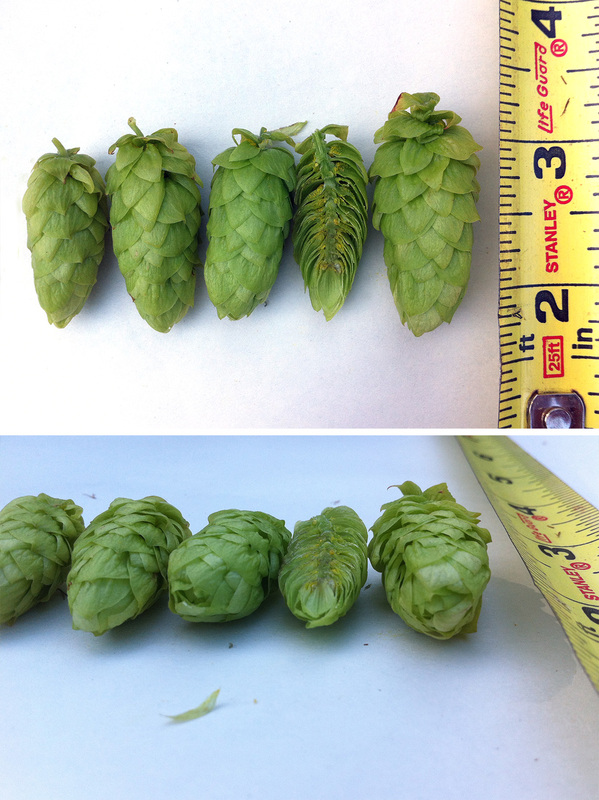 Note: You can click on each picture to see a version with the horizontal profile included. 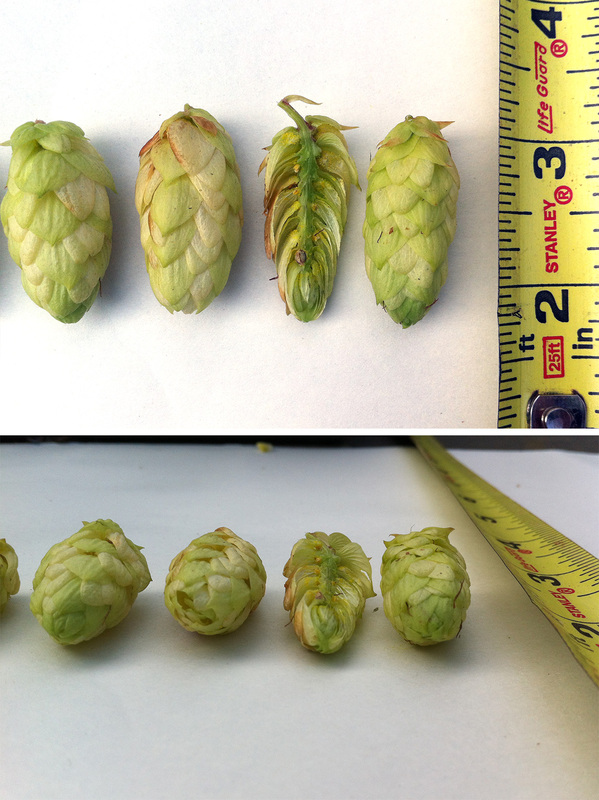 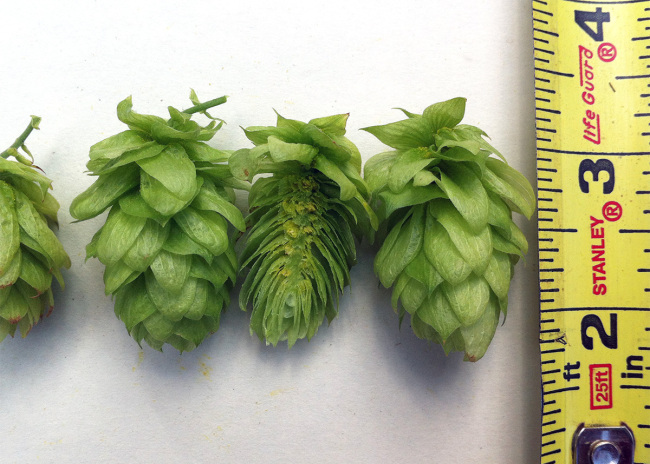 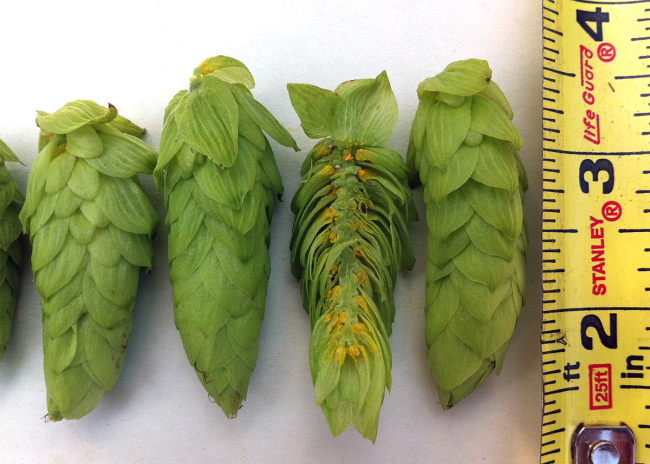 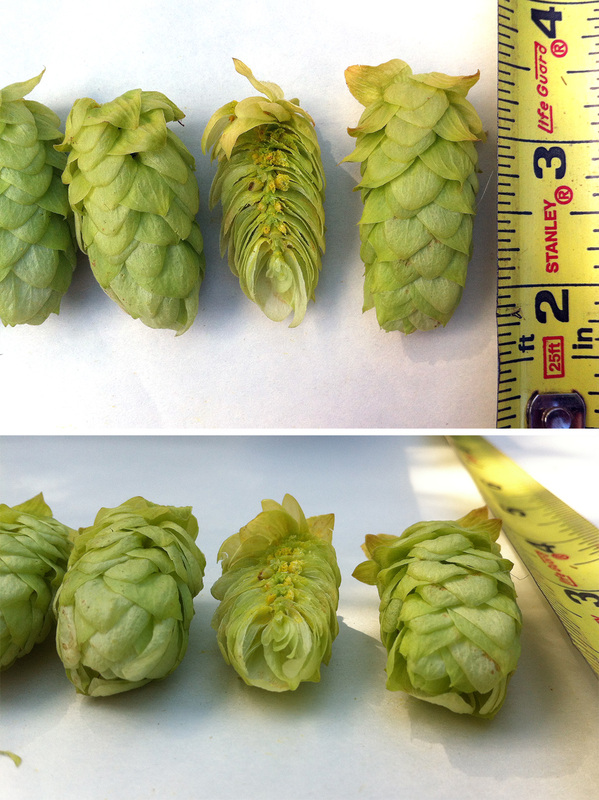 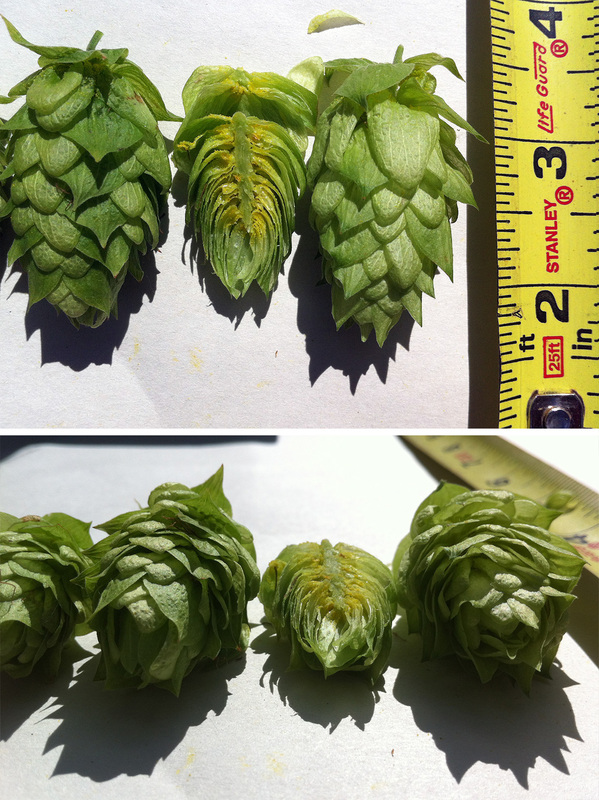 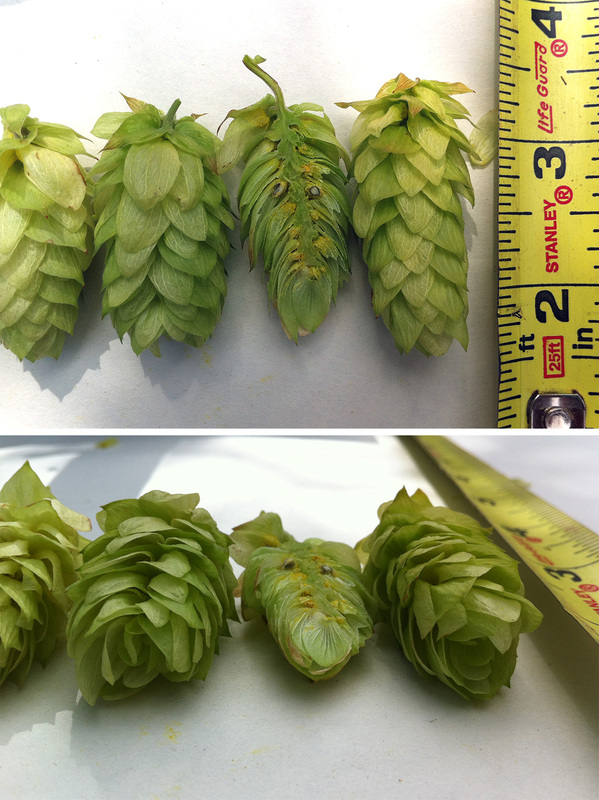 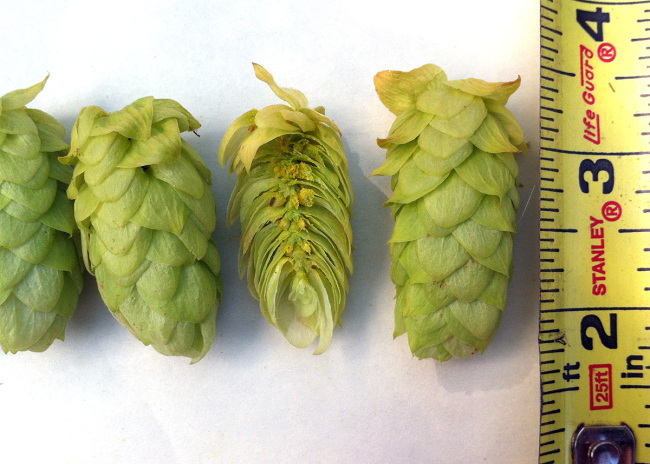 Notes: Cones are a very consistent size. 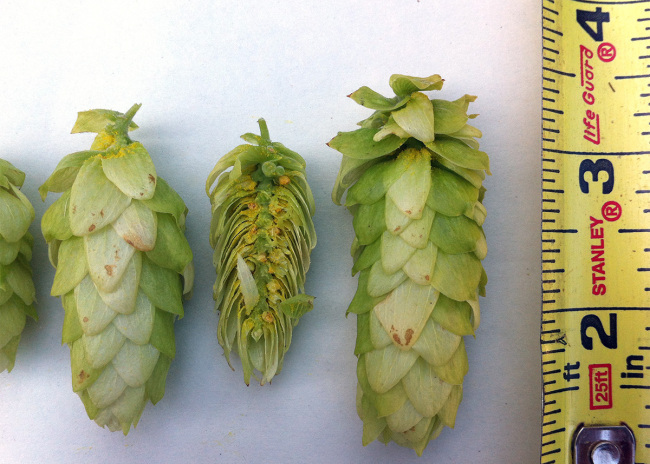 Notes: Threw male flowers near the end of the season.